Earlier in the month I had an opportunity to shoot for the 3.1 Phillip Lim for Target collection. 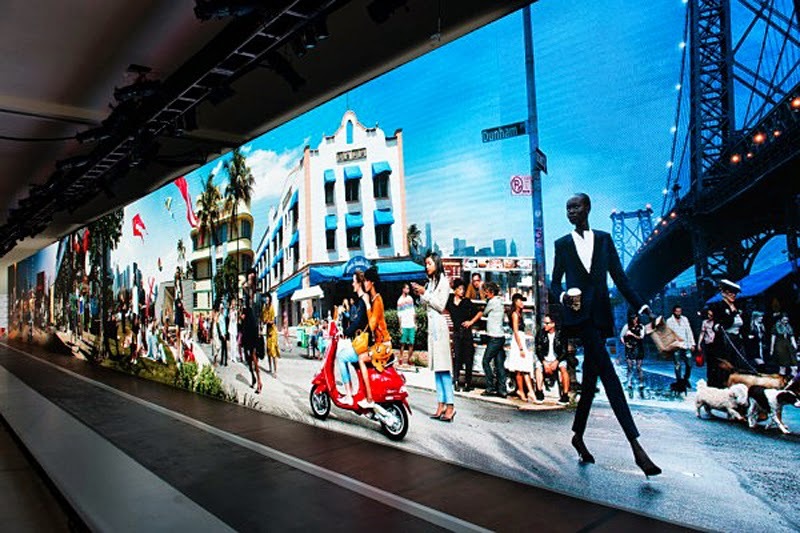 To celebrate the launch they stitched together a huge interactive "cityscape" to debut during NYFW. 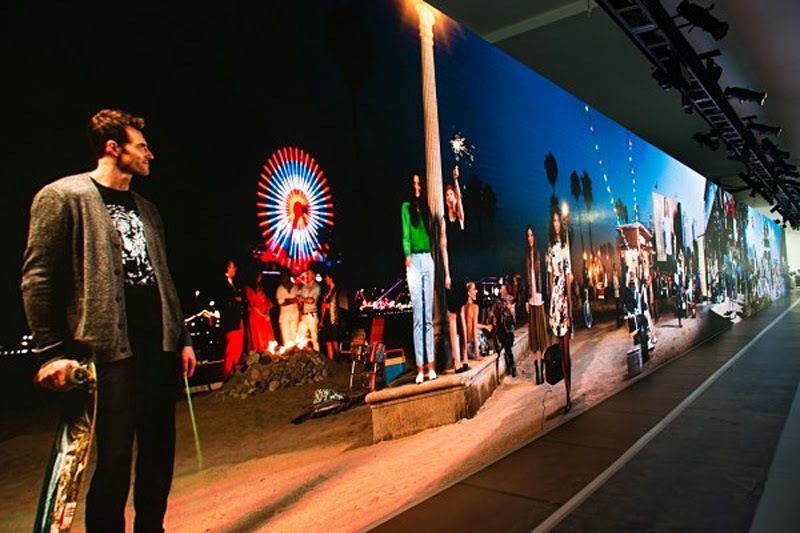 More than just a panoramic photo, the enormous LED wall was interactive. If you stood in front of me, I would take a picture that would appear further down the wall at the Dallas drive-in scene. Super innovative! 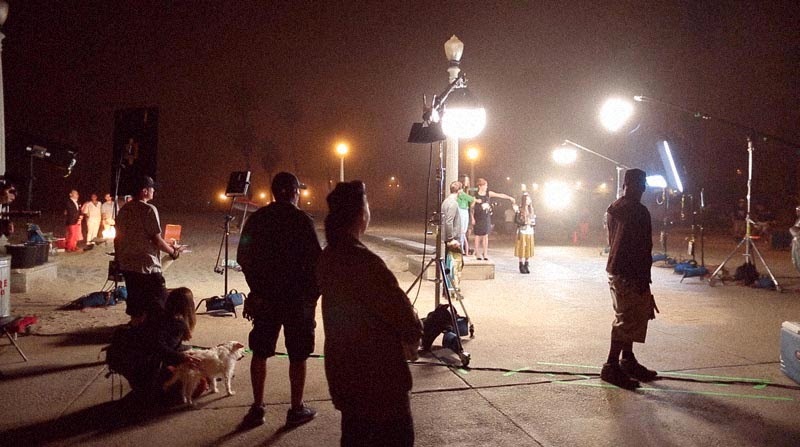 Here are some behind the scenes of our LA shoot. You can check out coverage of the launch here. Did anyone get anything from the collection? Oh my gosh. Why are you so cool? This is awesome. What an incredible opportunity to be a part of this campaign. I love the 3.1 Target collection! Nothing that I'm keeping. I wish the grey sweater dress and the canvas drawstring travel bag were more practical to my life. I missed out and couldn't get my hands on the ONE item I wanted. (The black top handle crossbody). Now it can only be found on eBay for $70+. The shoot looks like it was a lot of fun! this is very cool. and literally that piece that was your favorite was the best thing. And im pretty sure it all sold out in seconds. The piece you are holding was also my absolute favorite. I was able to get my hand on 4 bags and the olive carryall, but in the end, I returned 2 of the large gusset handbags and have been faithfully using the black, top handle crossbody since the 15th and will rotate out with the mustard gusset mini-bag. Lucky you to partake of such an event. I got several things online... that NEVER ARRIVED. According to the tracking, they've been at the post office for over two weeks. sigh. Is the jacket you are wearing from the collection? It's amazing! @Sarah - sadly no, it's regular 3.1 Phillip Lim but a few years old.